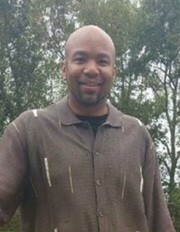 Obituary for Mr. Shelton W. Jenkins | William Toney's Funeral Home Inc.
Mr. Shelton W. Jenkins, age 39 of Zebulon, departed this earthly life on Tuesday, August 14, 2018. Funeral service will be held at 1:00PM, Sunday, August 19, 2018 at Cathedral of Love Ministries in Middlesex. A visitation will be held from 12-1PM, prior to the service at the church.